The light is always flowing in us and circulating through our entire being. When we are aware of it, we can harness its power for our creative ideas and ventures of the soul. The light is always flowing in us and circulating through our entire being. When we are aware of it, we can harness its power for our creative ideas and ventures of the soul. 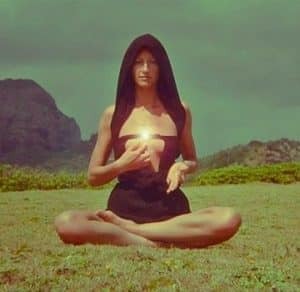 We can access higher levels of this light substance by connecting to nature and through meditation and prayer. We lift the core energy of our cosmic self into the heart of our mother God aka sources holy spirit and anchor our father God into our mind to create the perfection of the divine elements here on Earth . When we know of such a power, we take reverence in it for we know that the use of it against man or women is out of balance and opposes the principal of love. A true sin can only be done when we act against love for only then we must align ourselves with the truth of the Source if we are going to be triumphant over-all limitations of fear. We are that wholeness birthed in freedom. Source and all the angels are there for assisting us in using our blessed gift of power for the greater good of all. When we are brought to our knees, it’s only for the purpose for us to see that what we have created is not fully birthed in love and must be transformed through us back into love. The power we hold can build a nation and tear one down. It can give to life or take it away. Find your balance within the true power which is Love at the very core. Use your power wisely dear hearts. When you do your power will grow and expand to be a mighty force on a planet for all concerned.